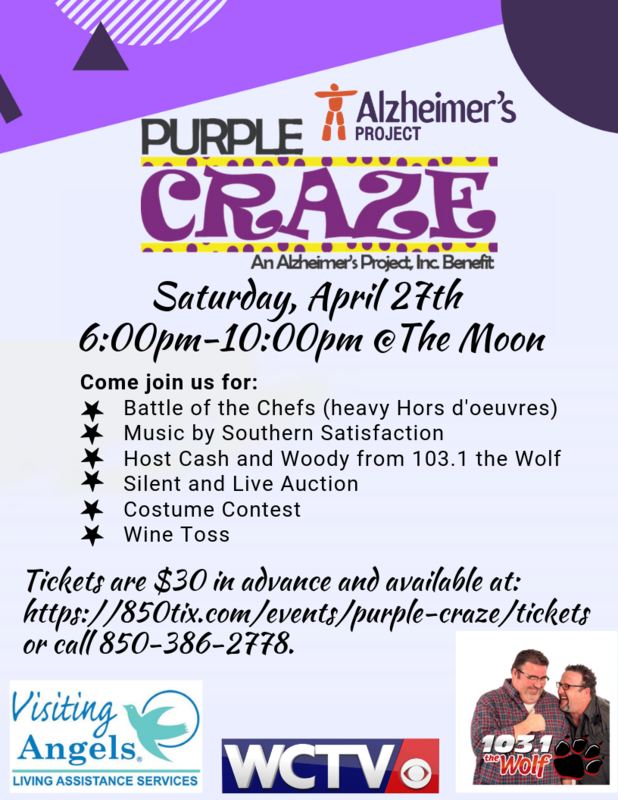 Join us for Purple Craze at The Moon Saturday April 27th from 6-10 p.m. Funds raised benefit Alzheimer’s Project to provide respite, education and support to those living with dementia and their caregivers. With live music from Southern Satisfaction, appetizers, silent and live auctions and a contest for the best purple outfit, a good time is guaranteed! Come on out and support this important home grown ministry. Tickets can be purchased at www.alzheimersproject.org or by calling (850) 386-2778.